LOS ANGELES (CelebrityAccess) — BMG Chrysalis US revealed that it has acquired the Los Angeles-based rock label Vagrant Records, label home to artists such as The Eels, Edward Sharpe and the Magnetic Zeroes, and PJ Harvey. 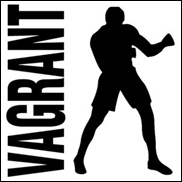 As a part of the deal, BMG is acquiring the entire Vagrant catalogue, as well as its rights to future recordings. Financial terms of the acquisition were not disclosed. Current Vagrant releases include the 1975’s self-titled debut album which is on course for sales of 250,000 in the US, James Vincent McMorrow who released a deluxe version of his second album Post Tropical on November 11 and Brooke Fraser, whose fourth album Brutal Romantic is out on November 18. The acquisition of Vagrant follows the acquisition by BMG Chrysalis UK in September of another well-regarded indie record label, Infectious Music, home to alt-J.